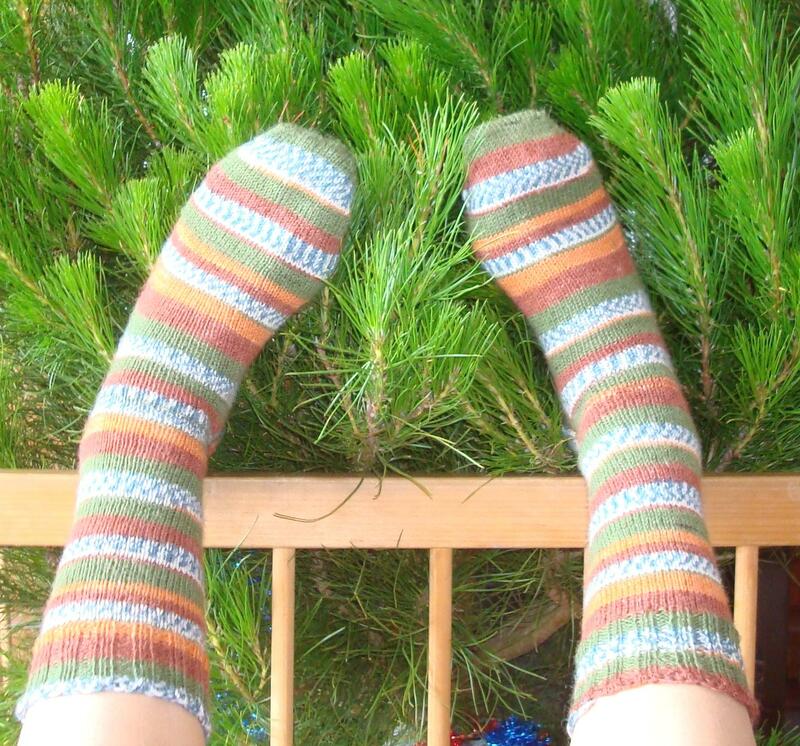 Sit comfy! 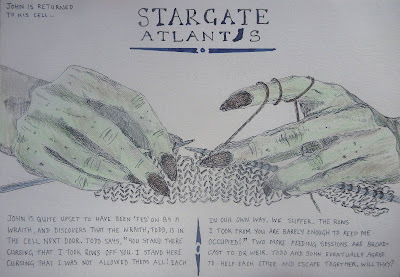 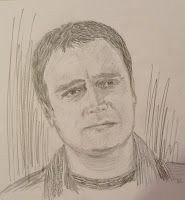 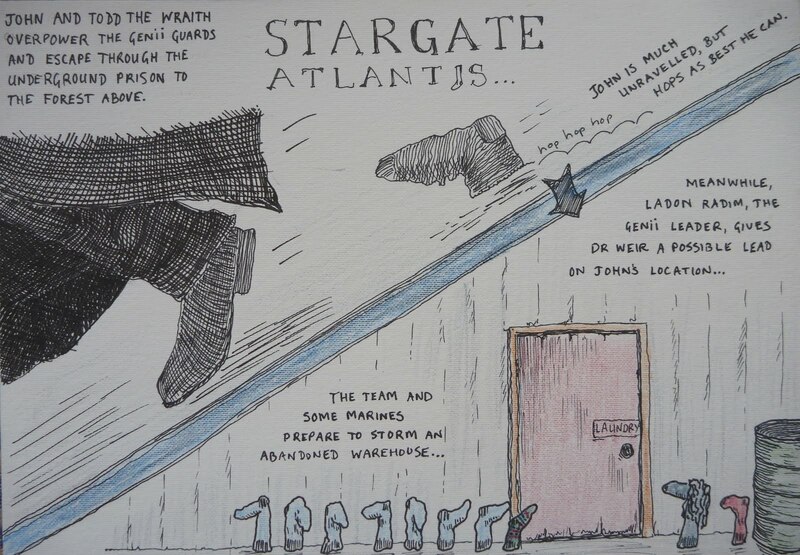 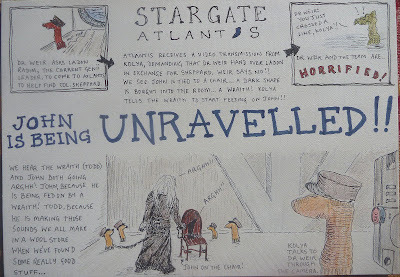 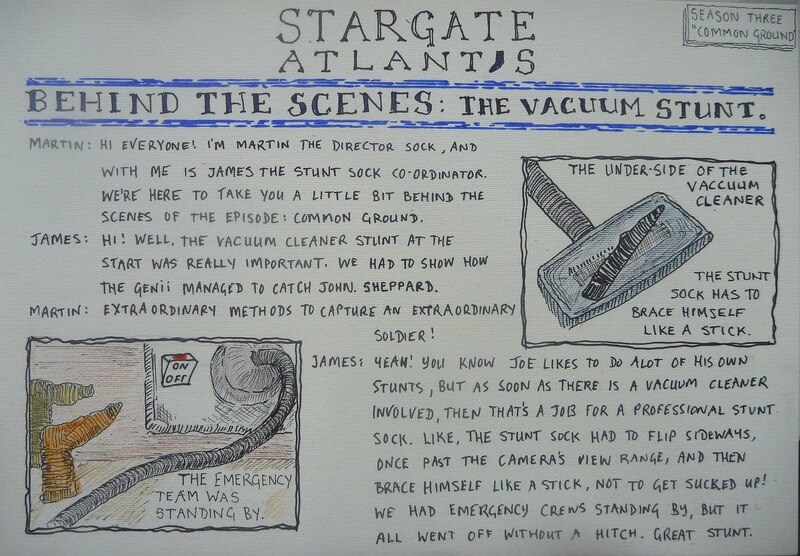 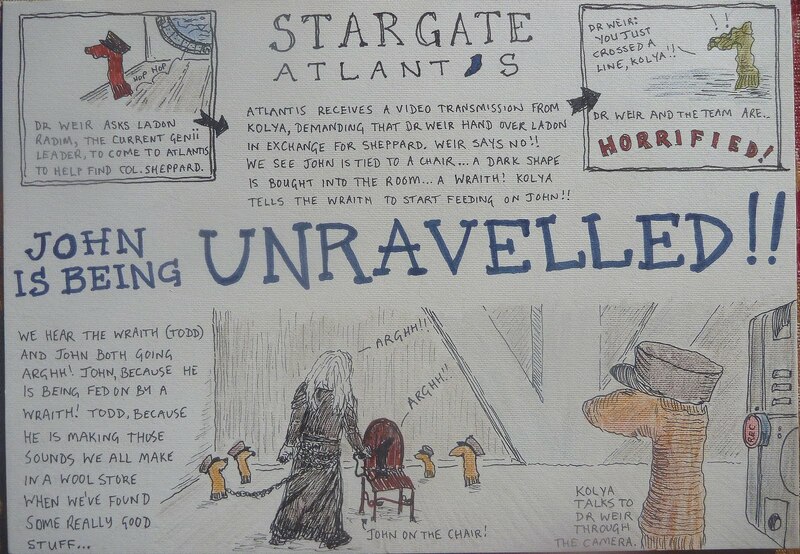 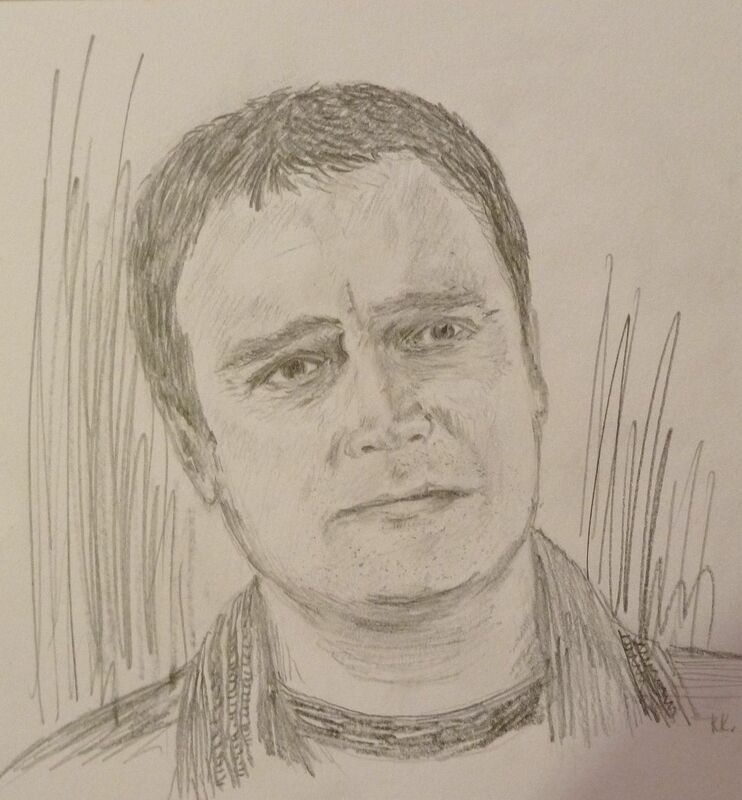 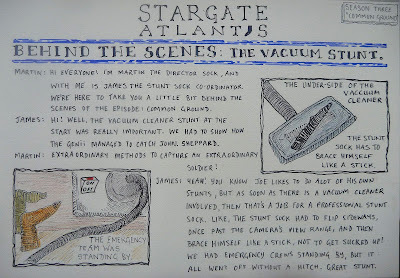 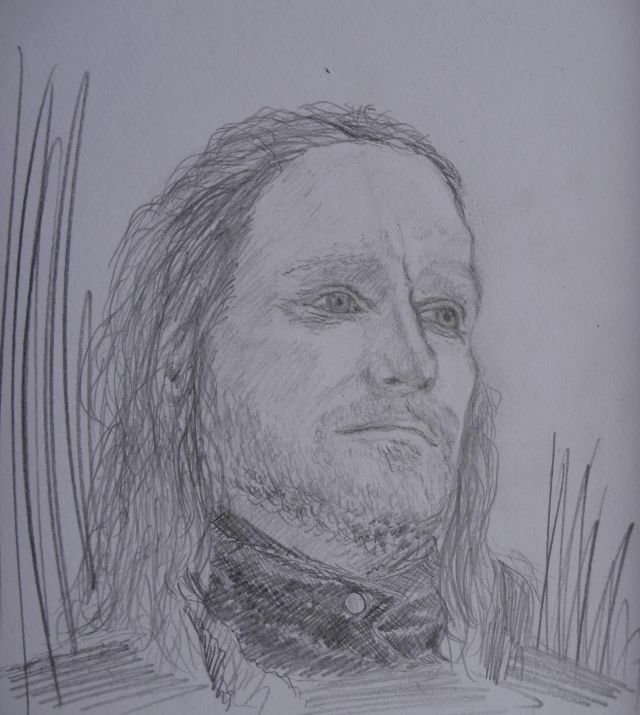 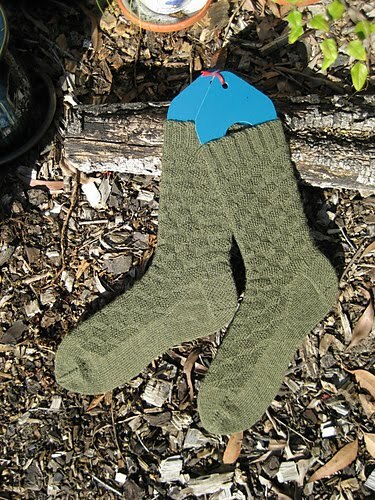 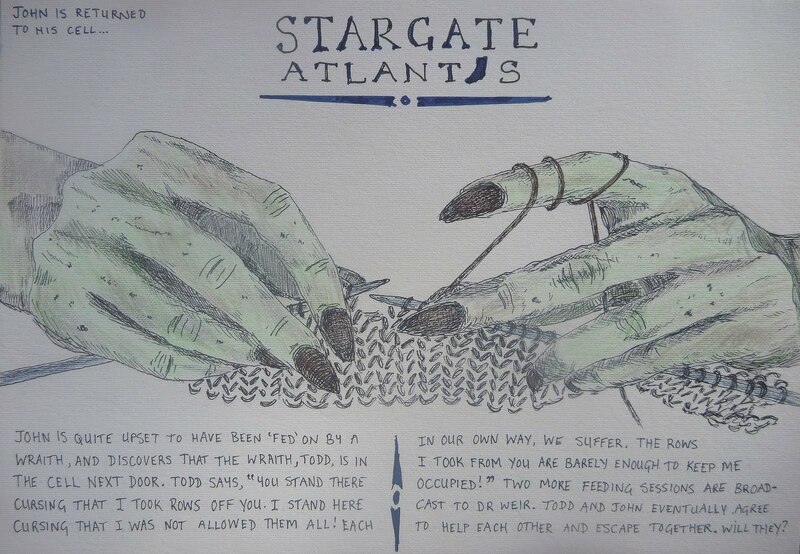 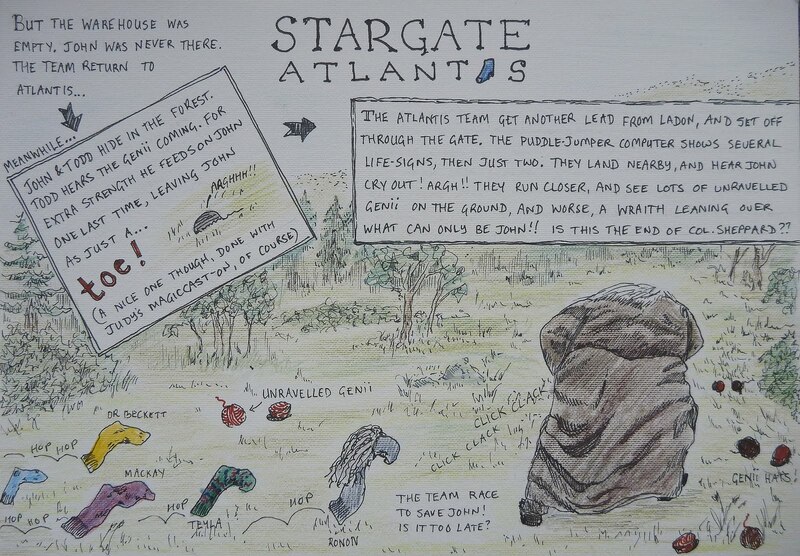 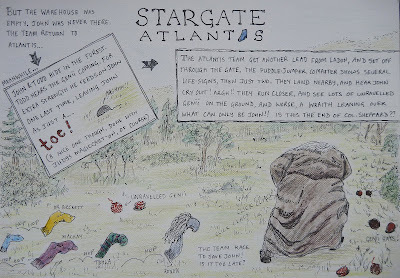 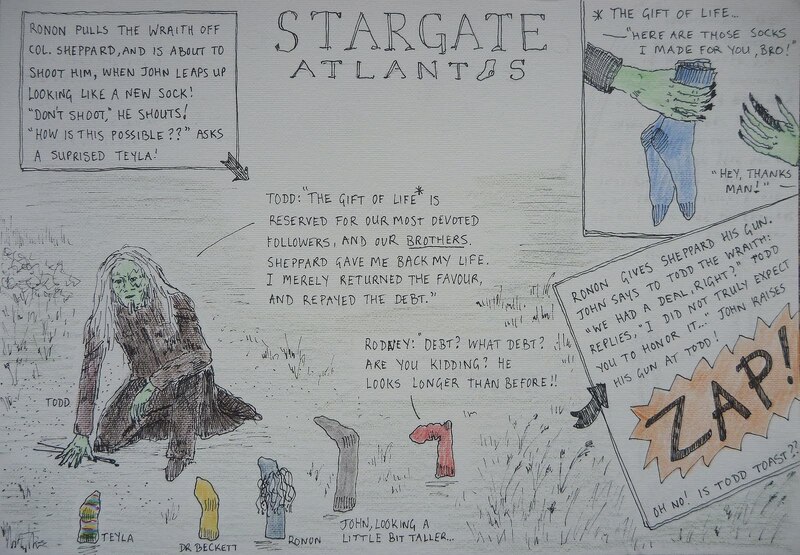 Here is the complete episode Common Ground of Season Three of Stargate Atlantis, as re-enacted by my missing socks. 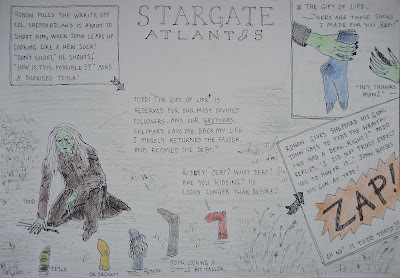 Click on the pictures to enlarge each one for easy reading. 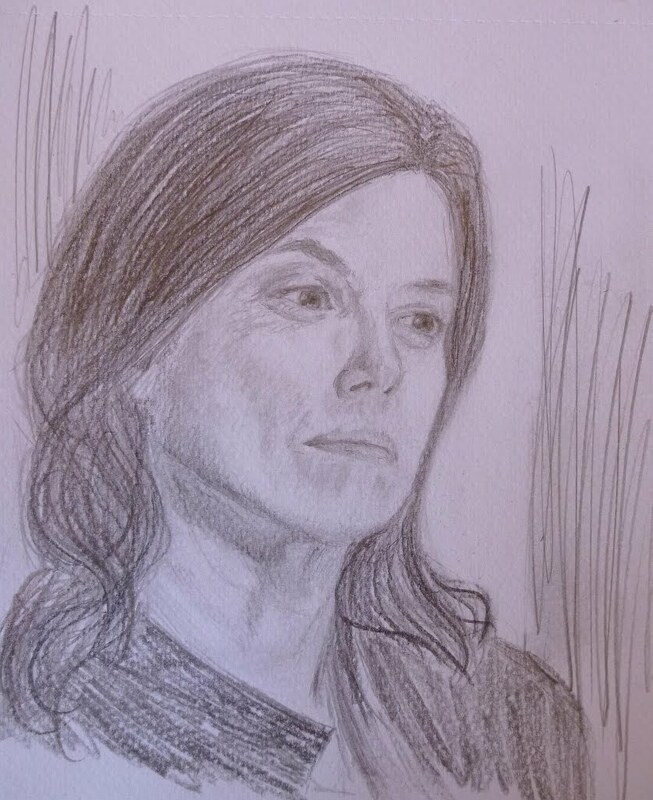 If you are already saying ¨huh?¨ and ¨socks? 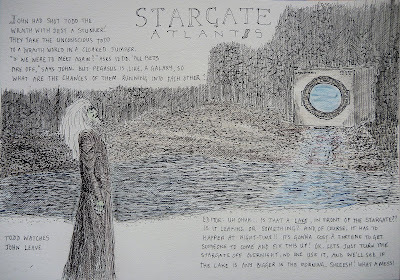 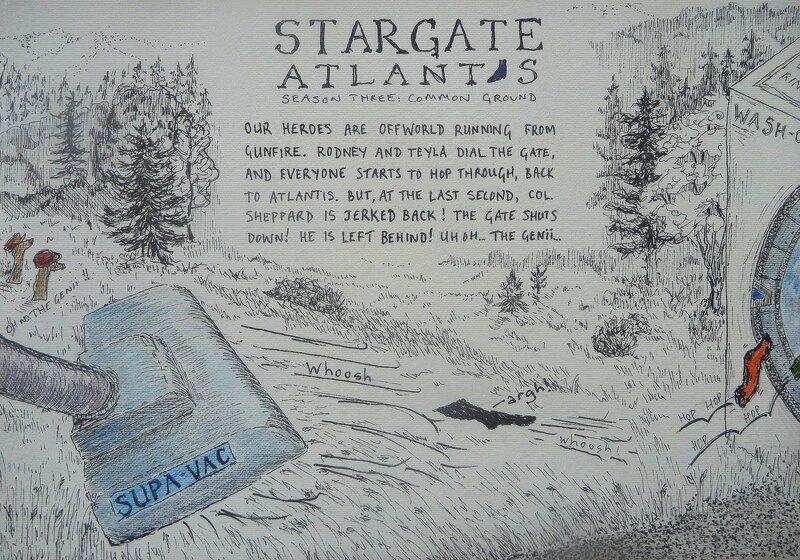 ?¨ and ¨Why does the Stargate look like a washing machine?¨ then read here and here first to find what this is all about. 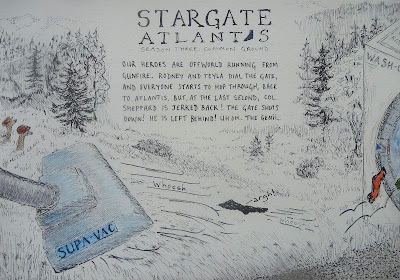 For the artistically minded: in this episode, I learn to draw trees in pen and ink, and make landscape recede into the distance. 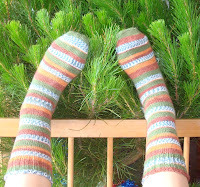 I threw in a spruce, an elm, a birch, some different sorts of pine, a few nondescript bushes, and some baby trees etc. 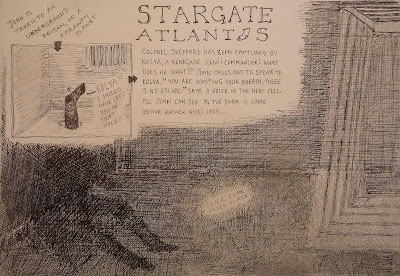 I also learn to do low value contrast pen and ink sketches (ie - where everything is dark).